As recommended by Australia's largest carpet manufacturers, steam cleaning is our preferred method of cleaning your carpets. 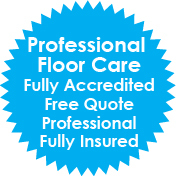 Although we also offer dry carpet cleaning as well. With a large truck-mounted machine, steam cleaning is the best method to deep clean your carpets. This will greatly increase the life & appearance of your carpets. Australian standards recommend having your carpets steam cleaned at least once a year. We use biodegradable, non-toxic products that clean your carpets deep down and to the highest standard. We are so confident that you will be happy with the results of our cleaning that we guarantee you 100% satisfaction or we will re-clean your carpets! The Australian standard requires all carpet cleaners to pre-vacuum the carpet. The primary reason to pre-vacuum is to get rid of the dry particle matter (dirt, dust etc). We use a commercial grade vacuum which has unique brushes to pick up the pile giving your carpet better penetration for the pre-spray (step 2). First we spot stain your carpet, and then we spray your carpets with an effective pre-spray which is harmless to all carpet fibres including wool. It is biodegradable and safe for your family & pets. Having your carpets pre-sprayed captures the foreign dirt/soiling from your carpet, this means when your carpets are cleaned the dirt/soils are separated from your carpets making the steam clean even more effective. Agitation will massage the pre-spray deep into the pile to release the dirt. This is accomplished with a rotary machine. Like washing your hair, you don't just put the shampoo on your hair then wash it out, you massage it in. This is achieved using a high-powered truck mounted machine. Using hot water extraction, which is also the preferred method of Australia's largest carpet manufacturers. Hot water extraction is the most efficient way of removing the soils/dirt from your carpet due to the high temperature of the water and the powerful suction. Drying time is considerably reduced due to the high temperatures, you can expect your carpet to be dry within 2 to 3 hours. Any stains that still remain after steam cleaning has been completed will be removed with specialty spotting agents. The final step, a grooming brush is used to bring the pile back to its natural textures and also helps in faster drying times.